Make the best of your resources. Making the best of your resources is important. Expensive equipment is out of reach for many photographers. Using simple equipment and home resources helps. Glass presents particular problems. This tutorial will help you to tackle the problem with glass and learn more about using simple resources. By its nature, the translucence and reflectance of glass creates special problems for photographers. Translucence means that the definition of glass is lost against the background. Reflectance means that general highlights and specular highlights in particular can cause problems. Success in photographing glass is about learning to control those things. It is all a matter of using reflectance to define the glass and placing the light in the correct way for it to illuminate. Using a simple house light and white and black cards, this tutorial helps you to control highlights to emphasise the glass and not create nasty highlights. 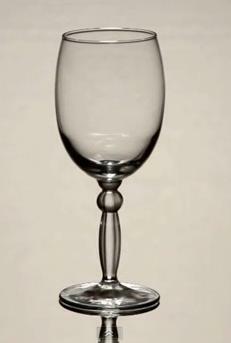 You learn about good quality composition with a glass and a few tricks of the trade. Win:win I think. Wide angle photography really brings out certain features of a shot. I am surprised how little the wide end of the zoom focal lengths are used. Keen starters often forget wide! We are going to look at what you get for going wide angle photography work. But I don’t have a wide angle lens? No? Have a look. 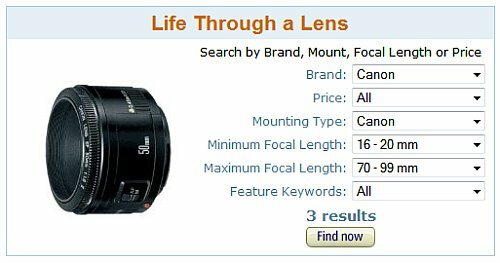 Most people buy their first lens as a kit lens with their first DSLR. Very often these lenses are in the focal length range of 18mm to 70mm. With a bridge or compact camera they are built-in. To benefit from this article you just need to set the focal length to the wider end. Any lens which can open up below 35mm will be working on the wider end. Wide angle photography is available to nearly everyone. Read on! A wide angle lens is considered to have a focal length considerably less than a ‘normal’ lens. Lenses are measured against the old SLR standard of 35mm film. Today we have 35mm digital sensors. 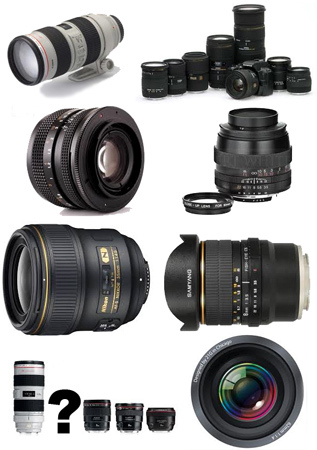 These are used in “full-frame” cameras (as against the smaller ‘cropped sensor’ or ‘APS-C’ camera of most DSLRs). A ‘normal’ lens for a ‘full frame’ is a 50mm lens. A 35mm focal length or less is considered to be great for wide angle photography. Many wide angle lenses are around 24 – 35mm. For APS-C sensors, focal lengths wider than around 25mm are considered to be getting into the wide angle photography range. Below 24mm there is a class of lenses called an “ultra-wide angle” lenses. These are around 24mm to around 18mm. In this case, depending on the camera they are built for, they would show some distortion and a tendency to create fish-eye shots or actually be a fish-eye lens. Some lenses, like a 16mm lens for a DSLR will be a fish-eye on a full-frame sensor. However, the same lens mount on a camera with a cropped sensor would use the lens as for ultra-wide angle photography. The fish-eye distortion would not be seen at all. Many smaller focal lengths exist. Some digital cameras with very small sensors (compact cameras for example and some point-and-shoot models) have wide angle capability of around 8mm, possibly 6mm. These focal lengths are not practical for a DSLR. There are special design features involved to use them at this short focal length which are not feasible in larger cameras. With all that in mind… here’s my first tip. If you are looking for a lens for wide angle photography, know your sensor size. Look at the manufacturers specification carefully to see that the lens is suitable for what you want on the camera you’ll be using. If you buy the wrong lens/sensor mix you may not get what you expect – although you will get a perfectly good lens! What is wide angle photography? In general wide angle photography tends to emphasise a difference of size and distance between a photographic subject in the foreground and one in the background. The result is an optically distorted view magnifying distance between objects, but allows a greater depth of field than a normal lens. This creates a pleasingly large foreground object and by comparison a tiny background one even though the distance between them is quite short. The exaggeration of the size of foreground objects provides opportunities for composition that really emphasise the expanse of the background. 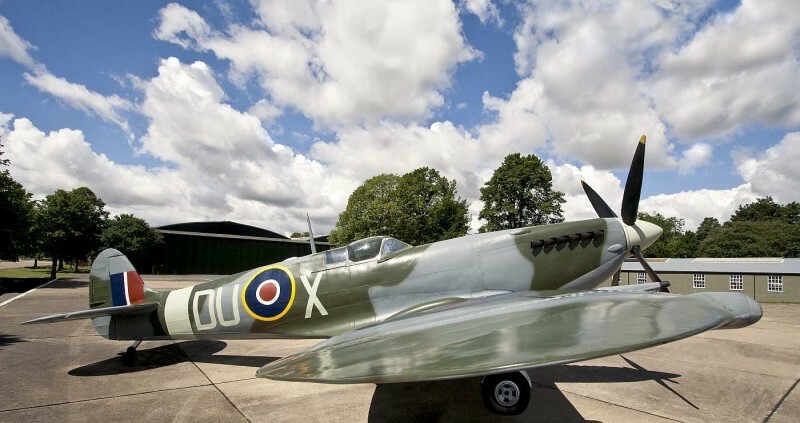 In the picture above the large relative size of the Spitfire wing emphasises the shape and prominence of the aircraft in the foreground. Meanwhile the foreshortening of the foreground-to-background distance has really given the clouds a powerful strength in this shot. They appear to be trending toward the centre-distance. Appropriate for an aircraft don’t you think? At the same time the expanse of the airfield itself is also felt because of the relative smallness of the buildings and the width of the scene captured by the wide angle. Find ways to exaggerate the relative sizes of foreground and background objects. For example, Spitfire vs. buidings. Where you can use perspective lines (eg. receding clouds) through the scene. This will help you develop a strong composition in your wide angle photography. Wide angle photography works best with focal lengths of around 24 to 30mm on most DSLRs. These lenses are great for use in the interior of buildings. This type of lens lets you see more of the scene without having to move a long way back. In a small room that is very useful as you are unable to move back very far anyway. Personally, I love rooms taken on the diagonal from the corner. These shots with a wide angle lens give you the perspectives of the room angles to help provide depth and still get everything in the shot. Do be careful to get the camera straight. If the level is off and you are using the lines of the room to frame the shot it becomes almost sickeningly wrong with a wide angle and there is little you can do to retrieve it! wide angle lenses are very good at bringing out perspective lines in your composition. With some lenses there is some curvature (spherical) distortion. So in a room watch out to correct for that when the lines curve. If you are taking a record shot, for example, to capture an objects uniqueness, then wide angle photography is useful. The lens emphasises the foreground object, background objects lose prominence. By isolating the foreground object, which is what your record is about, you can make is really stand out with no background distractions. This technique is useful for statues, vehicles, buildings… well you can see the point. Again, be careful. Some wide angle lenses can badly distort in the vertical plane if you are too close, say, to a building. So experiment. Particularly with a record shot, you are trying not to distort as you want the image to be a record of the object as it is. As an exact opposite to the record shot you can exercise quite a lot of creative licence with wide angle photography. The superb exaggeration of length is great for really long perspective lines or long objects. It’s great fun to take pictures of people with a portrait view. Small people look large and loom over the shot when done close up. Buildings, columns, trees and other tall objects can really be made to loom large. So if you want to really to emphasise certain features a wide angle shot can be really fun. A current favourite format for portraits is the ‘environmental portrait’. Sounds grand. Actually its about taking pictures of your subject outside in the open air. The wide end of the focal lengths are particularly good for capturing a lot of scene while making it look like your subject is close. And yet it can be a really freeing way to tackle portraits – you can really use the environment to say something about your subject. Picture the proverbial pretty girl in a field of flowers… a lovely wide shot pulls in the expanse of flowers and yet the foreground emphasis is on the subject. Nice. Equally, the right sort of urban environment can be great for emphasising maleness… Again, let your creative juices flow. Study some wide angle photography work of other portraiture artists. It is important to see how the body can be distorted by the lens to artistic effect or emphasis. The landscape shot is one of the popular pursuits for photographers. Yet, as many good photographers have pointed out, they are difficult to carry off well. Wide angle photography can fail miserably with landscapes. Particularly if there is something big like mountains in the distance. The relativity of a wide angle shot is not good with massive background objects. It tends to take the awesomeness out of such a shot. On the other hand, wide angle photography with a foreground is great. It emphasises the lateral extent of the shot. Think beaches and wide landscape vistas. The horizon makes a good marker for the depth of the shot with wide angles (as long as it is straight!). Remember, if you are going to emphasis the foreground and lateral extent of a view have a prominent foreground object to focus upon. Actually this is an opportunity. Often photographers forget the human element in a landscape. Sometimes you can make your focus the well placed family or an interesting personality, whatever. The human interest is often stronger than people think in a landscape. Wide angle lenses give you a chance to do something others forget! Get out there and do it! If you have a wide angle lens, or if you have a zoom that gets you down to those focal lengths, try experimenting with wide angle photography. We often hear people saying ‘get in close’, well here is an opportunity to go out wide. How do you make a camera lens? Posted on July 11, 2012 by Damon (Editor) | Comments Off on How do you make a camera lens? We don’t see what goes into their production and we also see straight through them. So it is easy to see why lenses are not appreciated as high-tech components. So when I saw these three videos I was suddenly intrigued. They are produced by Canon to show what goes into making lenses. Considering how much work and manufacturing technology is involved we should not be surprised by the cost. The first video in the series especially fascinated me. I had no idea that creating the glass in lenses was such an involved process. It is not just glass, it is high-quality, high-technology, high production work all in one. The grinding of the lenses is also a very precise and time-intensive process. The coatings applied to lenses are high-tech processes too. In the final video we see how a lens is actually constructed. There is a lot of very detailed and skilled work done by hand. The use use of a whole range of special tools and adhesives makes it inadvisable to take lenes apart! This little lens cloth is a very handy item. It hangs on any ring or strap right next to your camera. It’s completely out of the way until you need it and then it is right on hand. It is a quality cloth and because if is always near at hand reminds you to keep your lenses clean. Clean lenses have a longer life and your images will be free of dirt smudges. Lenses are expensive. Protect them for the long-run. Buy now while you remember! Comments Off on How do you make a camera lens?